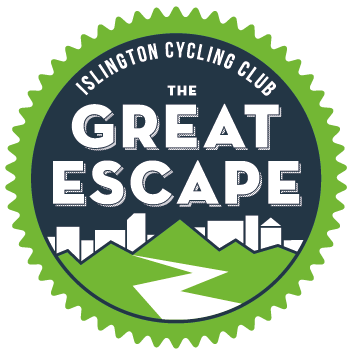 Islington Cycling Club is a friendly local club offering cycle sport for all. We formed in 2013 and have quickly attracted more than 600 members. We offer a wide range of rides, including nine weekly club rides, training rides and several club and open events. We use an internet forum as a virtual clubhouse to organise ourselves as this allows all members to help shape our club. Our focus is road cycling, but there is also growing participation for cyclo-cross and track. If there is another kind of cycling you want, members can get on our forum and set it up. We have midweek club rides on Tuesdays, Wednesdays and Thursdays. These are a mixture of club runs on set courses, indoor turbo studio sessions and Velopark training sessions. As well as our 7am Saturday session in The Regent’s Park, which develops speed and group skills, we have a race-specific training ride on Thursdays at the VeloPark, where we can meet and run exercises and drills safely. We run several groups of different distances and speeds to suit the riders and conditions on the day. All of these are friendly rides and we regroup at all hills and turn points. Meet at Whittington Park, Holloway Road entrance, N19 4RS, for an 8.30am depart. Coffee and cake at a handy café at the end of the ride. Laps of The Regent’s Park, Outer Circle. Meet at the London Zoo entrance, 7am (training ride - fast) and 8am (social pace - not as fast). Coffee stop afterwards. Plus twice a month we run easy-paced introductory rides and group riding skills sessions for new members. The 200km route will take you from the heart of London to the rolling countryside of Essex and back via quiet roads and picturesque villages. There are two great rest stops at Great Bardfield (the Knead Café at The Blue Egg) and at Great Dunmow. For the third year running, Islington Cycling Club is proud to organise The Italian Job, a 107km ride, starting and finishing at Finsbury Park in North London. True to the name, the ride has an Italian theme - riders are encouraged to showcase their Italian spirit in some respect. A prize will be awarded for whoever shows the most Italian style.